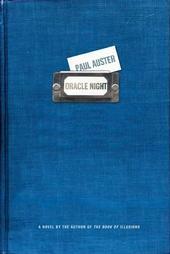 I think this is one of Auster’s best books. Very entertaining but also mentally challenging. How interesting! I looked up this title, and I see it’s been made into a movie. Of course books are always better, but I’m curious to know if you watched it and how it compares. Music of Chance film is incredible. Great cast with James Spader, Mandy pantinkin (sp? ), Charles durning. But sadly it’s never been released on DVD! I did find a VHS copy at Oberlin College via Search Ohio, but it’s for local use only. I wonder if it’s on the Internet somewhere. Well aren’t you the lucky dog!